have put on individual species. 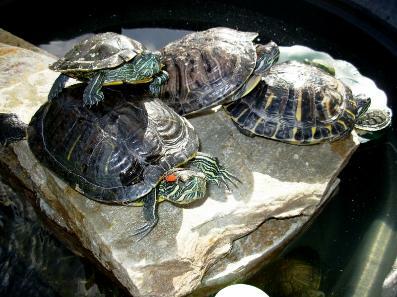 All Turtles and Tortoises offered for adoption were not taken in through any organization. These have been offered up for adoption through the private individuals and me. available are posted on our "The Tortoise Home" Facebook page. four inches but a majority are sold under the radar of the law. one year pending food consumption and proper husbandry. they must be in water to eat and swallow food. cause illness to native wildlife. Contact your local rescue or club for more information.